Crunchmaster Multi-Grain Crackers from TH Foods are a delicious, natural alternative to traditional processed wheat crackers. With a blend of pure, California brown rice, stone-ground corn, oat fiber, and a four seed blend, Crunchmaster Multi-Grain Crackers are oven-baked and have 65% less fat than regular multi-grain chips. Thanks to the wonderful folks at Moms Meet my family and friends were able to sample a few different flavors of the awesome Crunchmaster Multi-Grain Crackers. In the past I had tried their original flavor. We had the opportunity to try White Cheddar, Roasted Vegetable, and Sea Salt. These crackers are very tasty and everyone who tried them had their own favorites. My favorite happens to be the white cheddar. The roasted vegetable has lots of seasoning on it, so if you like your vegetables then you will love this cracker. The white cheddar has that light hint of flavor, and the sea salt speaks for itself. I've had many different brands and types of wheat crackers in my lifetime. I can honestly say that these are the most flavorful that have entered my mouth. My kids even enjoy eating them. Everyone knows how hard it can be to get some kids to eat healthy products. My kids can eat a whole bag of the white cheddar on their own! You can check out Crunchmaster online for more information on their other products. You can find some really great gluten free recipes. You can find Crunchmaster Multi-Grain crackers at major grocery stores nationwide. Disclaimer: I received this product for free from the sponsor of the Moms MeetSM program, May Media Group LLC, who received it directly from the manufacturer. 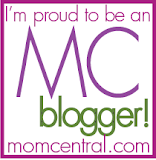 As a Moms MeetSM blogger, I agreed to use this product and post my opinion on my blog. My opinions do not necessarily reflect the opinions of May Media Group LLC or the manufacturer of the product. These sound yummy! I've entered the giveaway and hope to have a chance to give them a try. Thanks!